Doral is a city found in Miami-Dade County, Florida with a population of about 54,000 residents. It's well-known as the home of the Doral Golf Resort & Spa, which hosts the best golfers in the world every year. Miami-Dade County has a population of more than 2.6 million residents and provides one of the most popular areas for tourists in Florida. The warm climate and real estate found in the area attracts a number of international, part-time residents, as well. With so many visitors, events and part-time residents, Doral has a unique mix of driving styles found throughout. This leads to some very dangerous conditions on the roads. Doral is surrounded by major highways including the Ronald Reagan Turnpike. The location isn't far from Interstate 95, which is known as the most dangerous highway in the United States. Doral is also not far from Interstate 75, which is another of the most deadly highways in the United States. Miami-Dade County experienced 45,000 traffic accidents, on average, every year with about 38,000 injuries from the accidents. The 2014 Driver's Seat Road Rage Survey found that the Miami area is the seventh worst when it comes to courteous drivers in the United States. Both Miami-Dade County and Doral have experienced a rise in traffic accidents. Can you imagine how much worse the traffic statistics for the area would be if the roads were not monitored? Over 470,000 traffic citations were given out to drivers in Miami-Dade County in 2015. These violations included 89,000 for speeding, 54,000 for careless driving and 161,000 from red light cameras. Keep in mind, these are only the drivers caught breaking the traffic laws. A suspended license can happen to anybody habitually breaking the traffic laws in Florida. If you receive a few tickets in a short amount of time, not only could your license be suspended, but you will also pay far more for insurance. Every traffic violation has an assigned number of points ranging from 3 to 6. These points go on your Florida driver's license and when you get too many points; your license will be suspended. Just 12 points in 12 months will lead to a 30-day suspension, while 18 points in 18 months will triple that suspension. If you get 24 points in 36 months, you can say goodbye to your license for an entire year. The basic driver improvement course offered by online traffic school in Doral, Florida will help to keep the points from your current traffic violation off your license. This course gives you the ability to keep your insurance rates from going up, as well. The process is very easy. Just pay the ticket, inform the clerk of the court you wish to attend traffic school, enroll online, complete the course at home and turn in your certificate of completion to the clerk of the court. Once you complete this process, the points will stay off your license and your insurance rates won't go up. 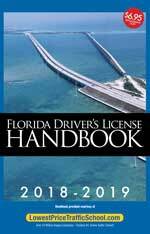 The State of Florida allows drivers five opportunities to keep points of their license with traffic school. However, they only allow you to use the basic driver improvement course once every 12 months to avoid points on your driver's license. If you haven't taken the course in at least 12 months and you haven't used up your 5 opportunities, you can use online traffic school for your most recent violation. After receiving a traffic citation, the Miami-Dade County Clerk of the Court will take your payment and answer your questions. 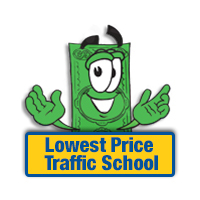 You can find out if you're eligible for traffic school from the clerk and they will also take your certificate of completion. Find out more information about the Miami-Dade County Clerk of the Court by visiting the website.